KPM, Berlin um 1780. Porzellan, polychrom bemalt und goldstaffiert. Blumenbukett und Streublumen auf Wandung der Tasse, im Tassenspiegel und im Spiegel der Unterschale. Unterglasurblaue Zeptermarke und Formnr. «5» bzw. «1». H. (Tasse) 5, D. (Unterschale) 13 cm. 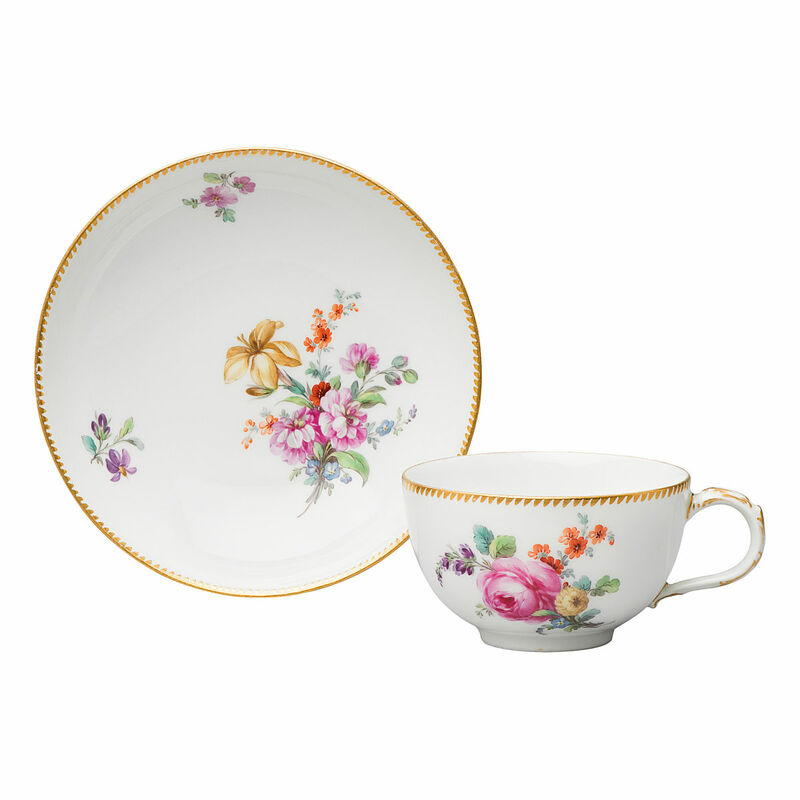 Cup and saucer with flower decoration. KPM, Berlin circa 1780. Porcelain, painted in polychrome colours and gold. Bouquet of flowers and scattered flowers on the wall of the cup, in the well of the cup and in the well of the saucer. Underglaze blue sceptre mark and form number «5» respectively «1». H (cup) 5, Diam. (saucer) 13 cm.